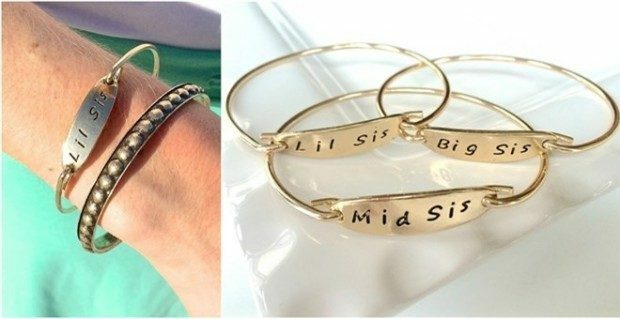 Lil Sis, Mid Sis, Big Sis Bangles Just $3.99! You are here: Home / Great Deals / Lil Sis, Mid Sis, Big Sis Bangles Just $3.99! A perfect gift for you and your sisters!! Get the Lil Sis, Mid Sis, Big Sis Bangles for Just $3.99! If you have, or know of someone who has sisters, you will appreciate these bracelets! Lil Sis, Middle Sis, or Big Sis… we have one for each! Cute worn solo or stacked! Click here to check out more Great Deals!